Represents an extended address space qualifier where the input address space value is dependent. 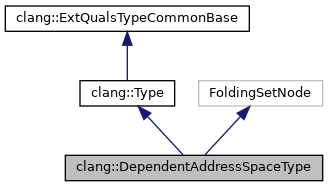 Non-dependent address spaces are not represented with a special Type subclass; they are stored on an ExtQuals node as part of a QualType. Definition at line 3098 of file Type.h. Definition at line 3118 of file Type.h. Definition at line 3116 of file Type.h. Definition at line 3111 of file Type.h. Referenced by MarkUsedTemplateParameters(), and clang::ASTTypeWriter::VisitTagType(). Definition at line 3113 of file Type.h. Definition at line 3112 of file Type.h. 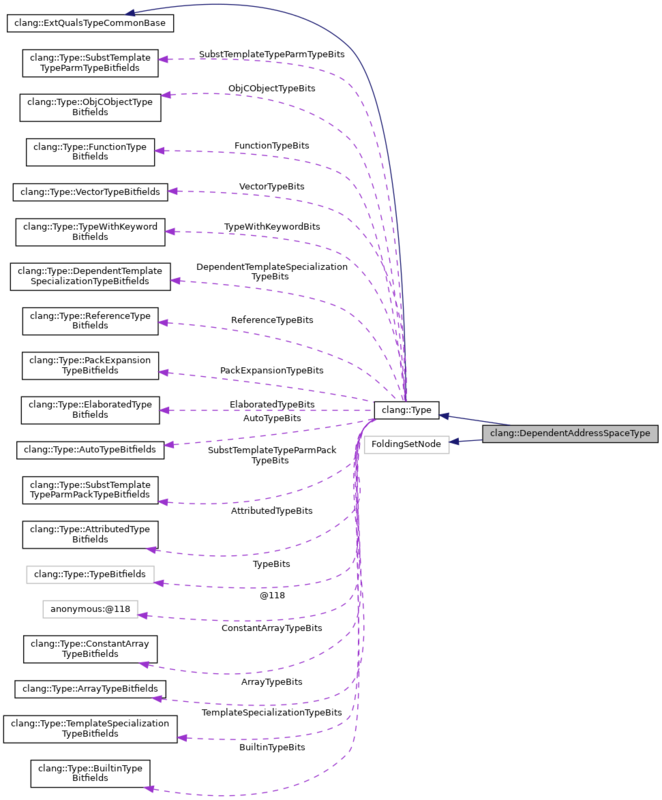 Referenced by isTypeSubstitutable(), mangleAArch64VectorBase(), MarkUsedTemplateParameters(), and clang::ASTTypeWriter::VisitTagType(). Definition at line 3115 of file Type.h. Definition at line 3122 of file Type.h. Definition at line 235 of file Type.cpp. Definition at line 3099 of file Type.h.